Indian Moon mission Chandrayaan-1, has transmitted more than 40,000 images of different types since its launch on October 22, 2008, which many even in ISRO believe is quite a record compared to the lunar flights of other nations. ISRO officials estimated that more than 40,000 images have been transmitted by Chandrayaan’s cameras in last 75 days, it worked out to nearly 535 images being sent daily.So it means almost 1pic/Mint. They said some of these images have a resolution of up to five meters providing a sharp and clear picture of the Moon’s surface. On the other hand, they said many images sent by some of the other missions had a 100-meter resolution only. Indian Space Research Organization (ISRO). Here’s the link: ISRO official website and for our surprise one thing, the symmetry is quite remarkable, pay attention to all the mirrored details…not to mention the triangular shape: it’s quite distinct. And if we believe the scale of the photograph according to its caption, 395 km., then the symmetrical object is at least 4kmx4km…a really big crater symmetry! 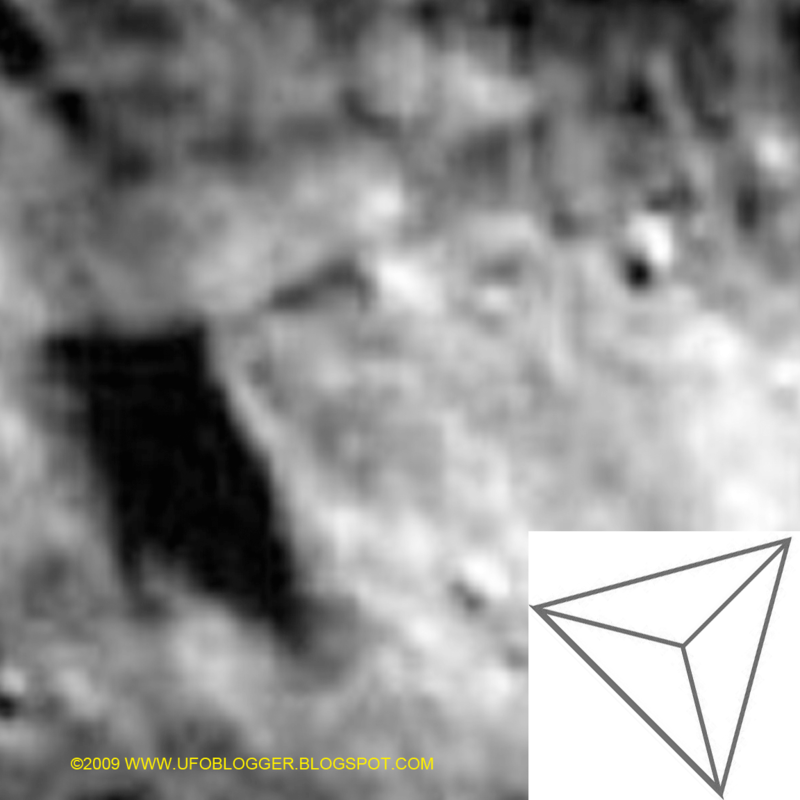 And second one is Triangular Pyramid Anomaly.These photos (allegedly) come from the ISRO (Indian Space Research Organisation), not from NASA or the ESA.